The Midwest boasts some of the finest newer ballparks in Major League Baseball. 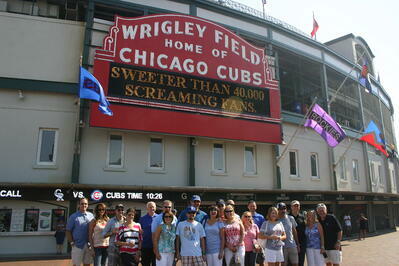 Of course, no visit to the Midwest is complete without a stop at historic Wrigley Field. This tour has it all along with premium seats, great hotels, and all the Big League Tours extras. Guaranteed premium seats to six (6) MLB games. Seat locations include lower level infield seats, club seats, or suites.